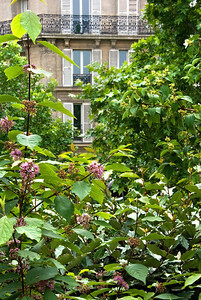 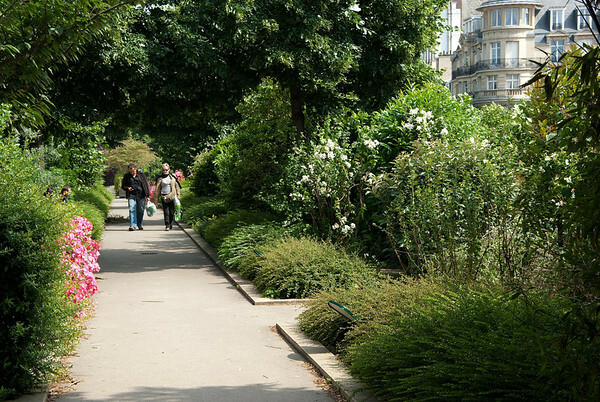 One of Paris's little known (by tourists, anyway) treasures, the Promenade Plantée - literally translated as 'the planted stroll', and also known as the Coulée verte - is a delightful 4.5 km walk on the east-west axis of Paris from Opera Bastille to the Périphérique in the east; 1.5 km, finishing at the lovely Jardin de Reuilly (the last 3 photos in this gallery), is elevated above street level on what was formerly a defunct railway viaduct of 75 arches. 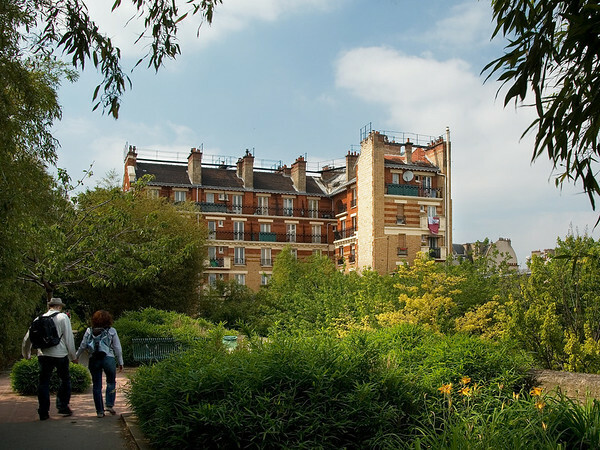 The original 70 red brick arches have been restored, renovated and enclosed with glass. 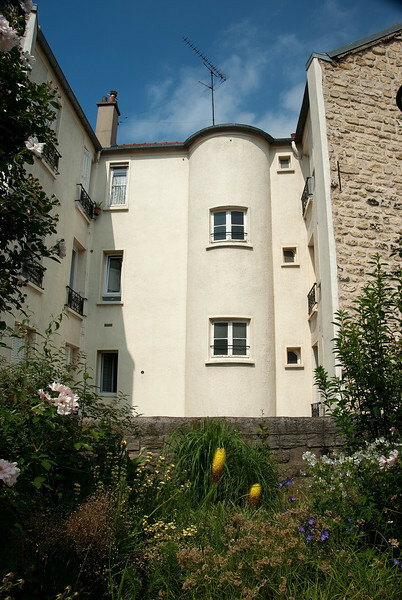 They now house arts and crafts workshops, galleries, furniture showrooms, a restaurant and a café. 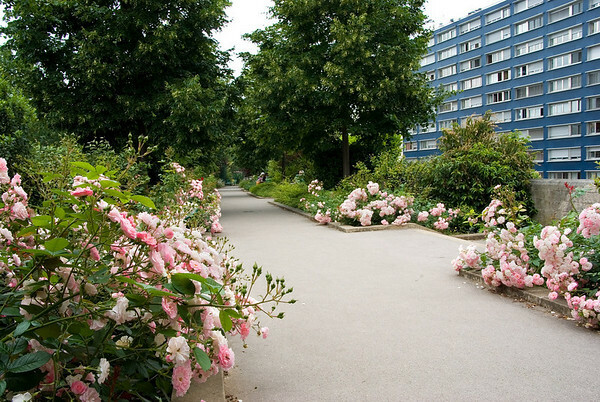 The walk itself is a tranquil stroll amongst beautiful gardens, often between third and fourth floor apartments. 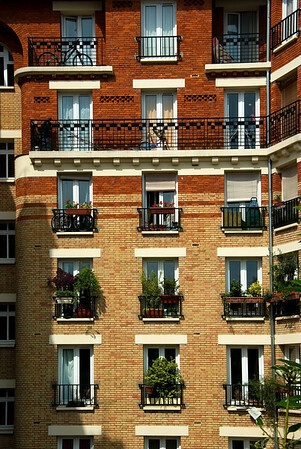 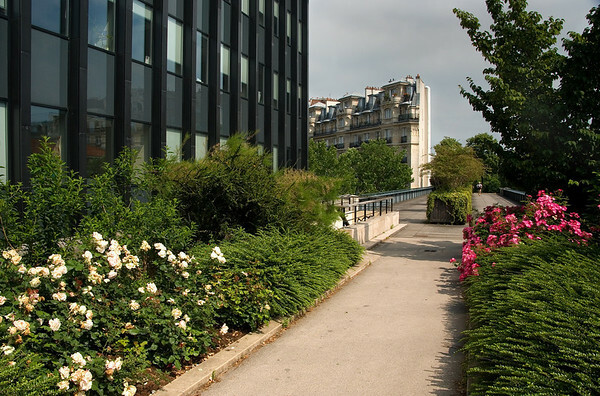 One can ascend to the viaduct behind the Opera near Bastille, or at Avenue Ledru-Rollin at the western end. 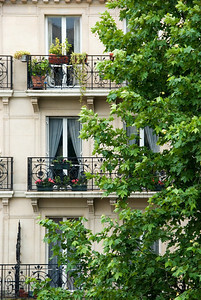 There are other stairs located at intervals. 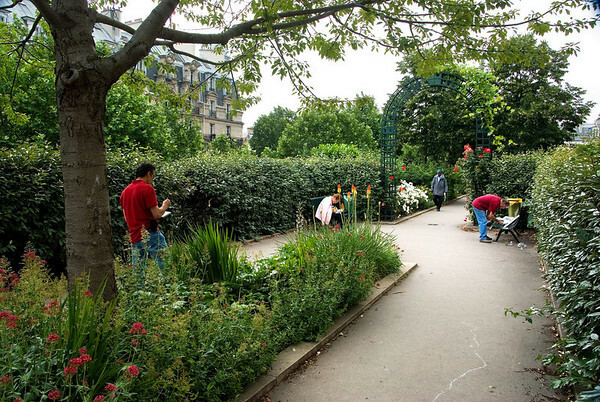 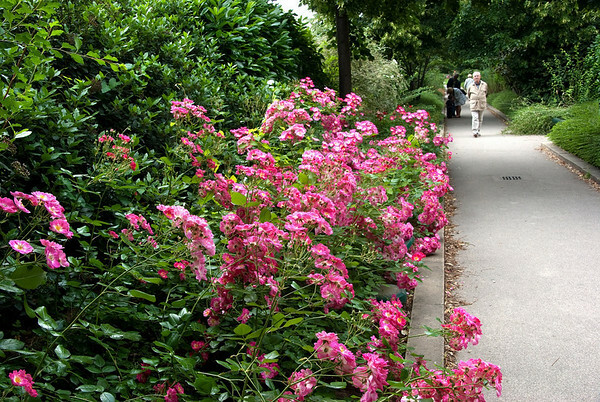 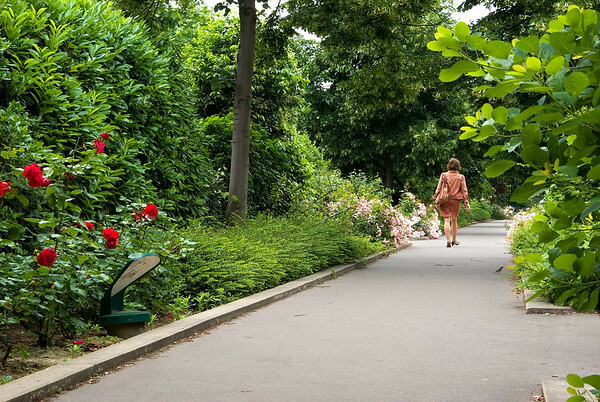 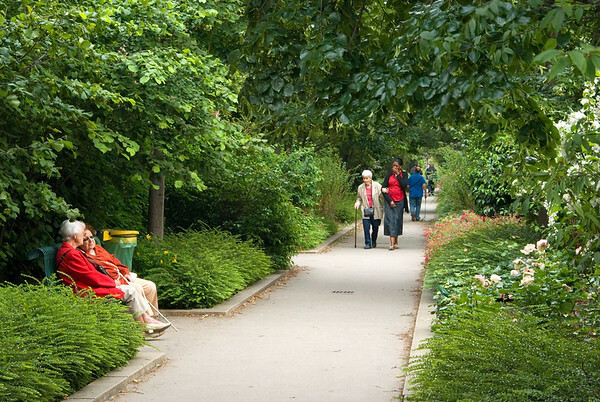 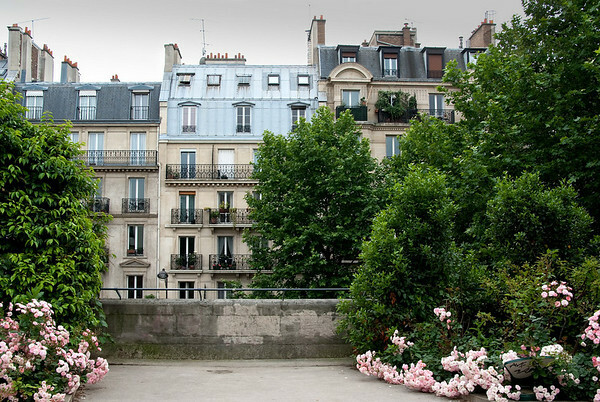 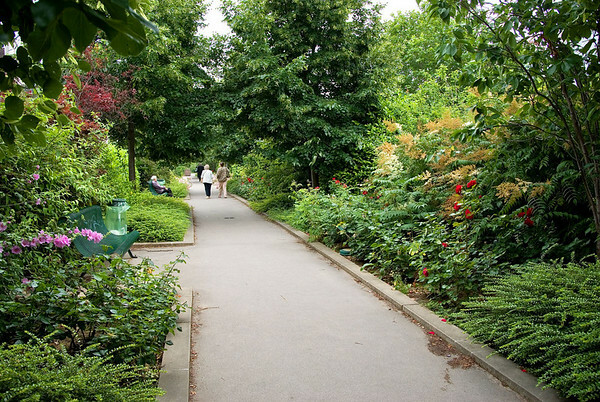 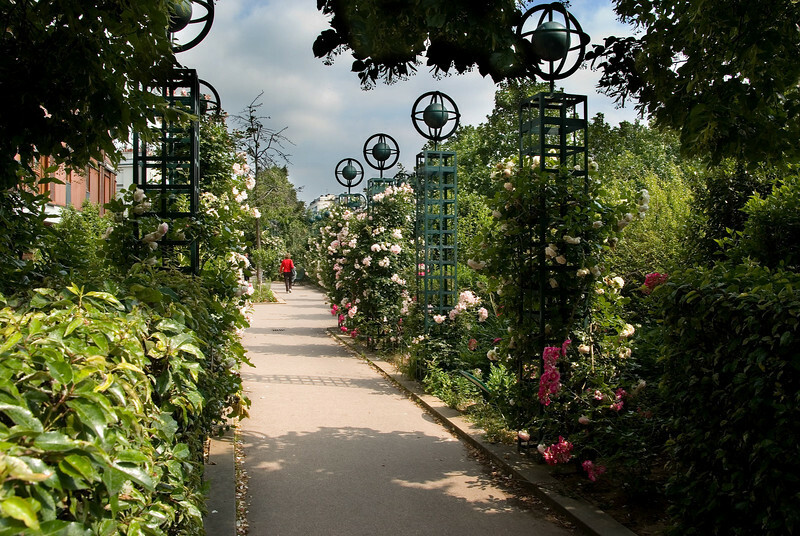 In the early 1990s, the City of Paris and SEMAEST, Société d’Economie Mixte d’Aménagement de l’Est Parisien, transformed the weed infested railway line into the Promenade Plantee, although walking along it one would imagine it to be much older.